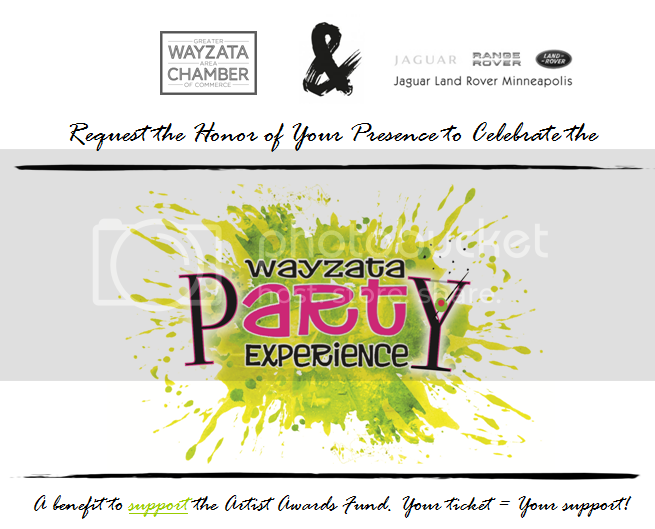 Wayzata Art Experience pARTy, A Benefit to Support the Artist Awards Fund. in kicking off the Wayzata Art Experience weekend! See live art by 2015 featured artist, Scott Lloyd Anderson. Rub shoulders with fellow attendees and art lovers! Meet 2014 award-winners. Nibble tasty noshes from 6Smith, D'Amico & Sons, and Sushi Fix. Enjoy Photo booth FUN by Venture Photography and a chance to win the "Jaguar Experience", a free Jaguar for a day! Your ticket = Your support! RSVP by June 24. Ticket includes access to the event, live music, gourmet appetizers and two complimentary beverages.